We love raspberries! Any body with me! In the summer time we eat them by the handful. So naturally we are drawn to any recipe with raspberries in it. 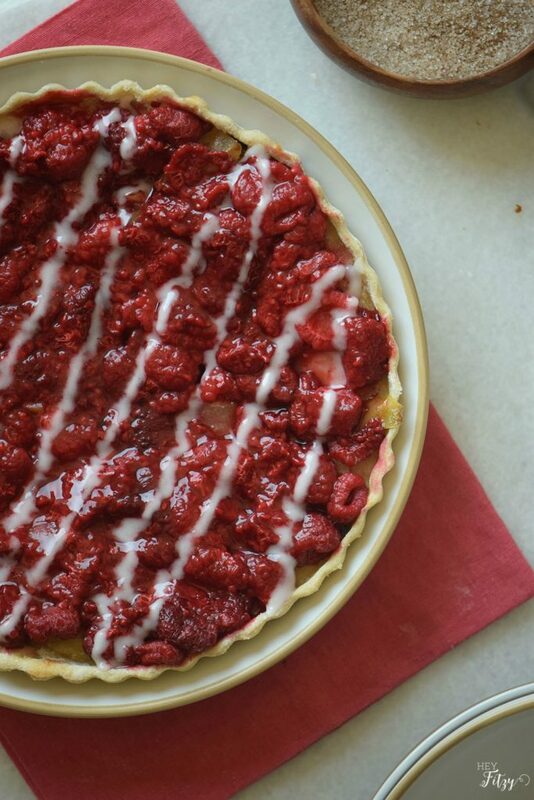 This raspberry tart recipe is so yummy. It looks fancy yet is relatively easy to make. And…to make it even better, you could use gluten free flour if needed and it is just as delicious. Combine flour, salt, and sugar in a food processor until well mixed. Add butter and continue mixing for 30 seconds. Slowly pour in the water until the mixture starts to stick together. Roll the dough into a ball, cover it with plastic wrap and let it chill in the refrigerator for 45 minutes to an hour. Roll dough into a 12 inch circle on a lightly floured surface. Place the dough on baking sheet and sprinkle it with 1 tbsp of sugar. Add in the raspberries and sprinkle the remaining tbsp of sugar on top. Bake for 30 minutes until raspberries release juice and crust turns golden brown. Add lime juice for an extra citric flavor. 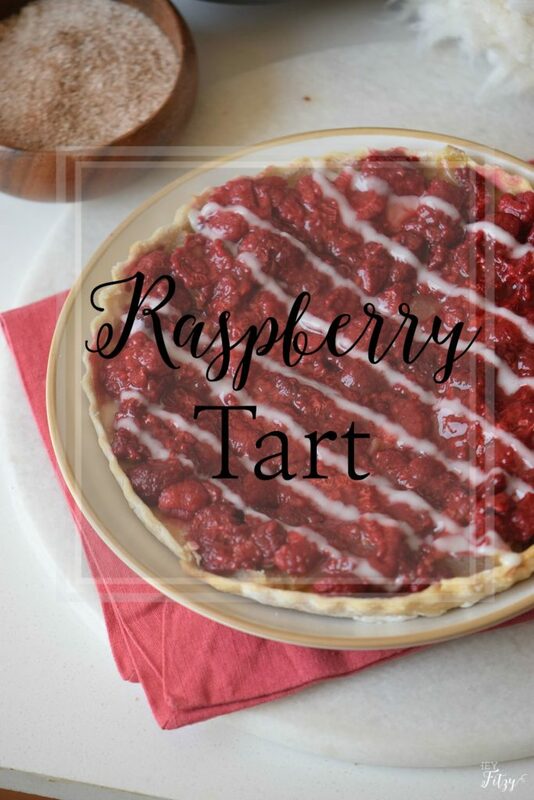 Make this yummy raspberry tart for your next dinner party or get together. Give this yummy tart a try. It will not disappoint! 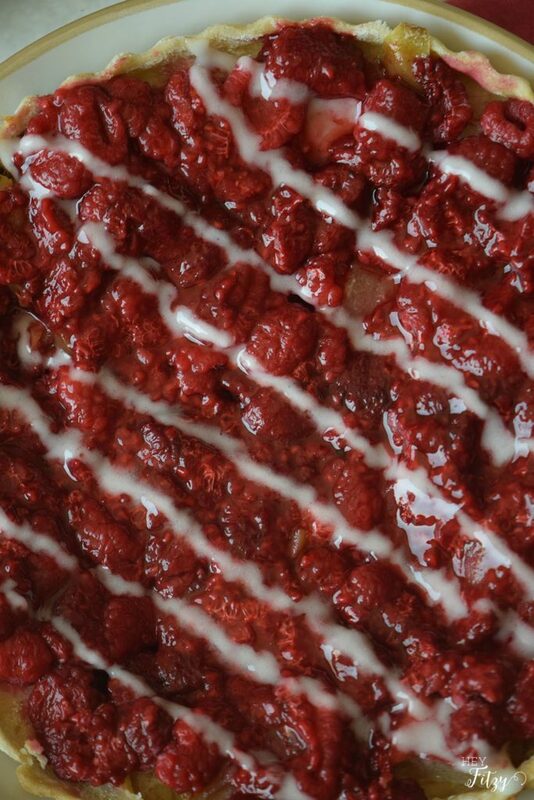 Do you love raspberries as much as we do? What is your favorite raspberry recipe? Thank you Lindsey!! It really is easy to make and yummy too!!! Yum, I bet this would be tasty with any fresh fruit. Thanks for sharing your recipe on Merry Monday. Absolutely!!! That is a great idea! We tend to use raspberries every time but you could use a number of different fruits. Hi Loralai, Thank you for featuring my Raspberry Tart and for hosting such a great party!! !